Once again Springtime approaches and with it appear the flahutes, the tough men of the Low Countries, and the fans congregate on the narrow roads beneath the leaden skies of Belgium to watch their heroes and the air is redolent with frites and beer and rain or dust or both. There are brutal climbs to conquer and nasty cobblestones that bite in these races where, unlike the famous Grand Tours, you only have a single day to become a legend. And amongst Belgium's cycling legends, near the very top, one finds the name of Rik van Steenbergen. Born in Arendonk in 1924 into a poor family, he worked as an errand boy and a cigar-roller and began racing at 14. During World War II he blossomed into one of Belgium's top juniors and then after turning pro in 1942 he won the Tour of Flanders in 1944 and again in 1946. 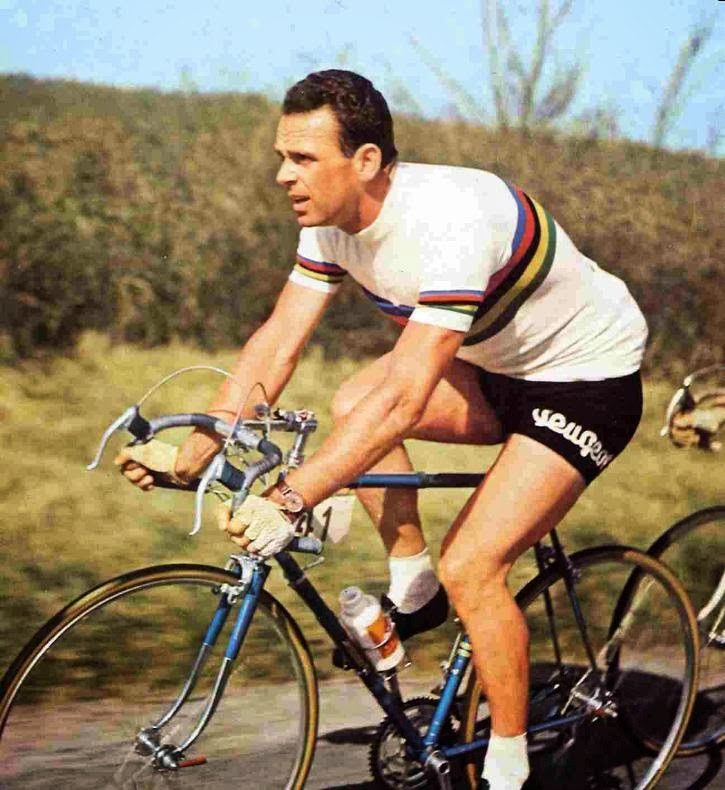 His palmarès impress: three times Road World Champion; double wins at Paris-Roubaix and La Flèche Wallonne; victory at Paris-Brussels; at Milan-San Remo; 40 Six Day Races won; 15 stages wins at the Giro; four wins at the Tour de France; six stages of the Vuelta—and these are only the major victories. It is estimated that in his career, which ended in 1966, he won nearly 1,000 races. 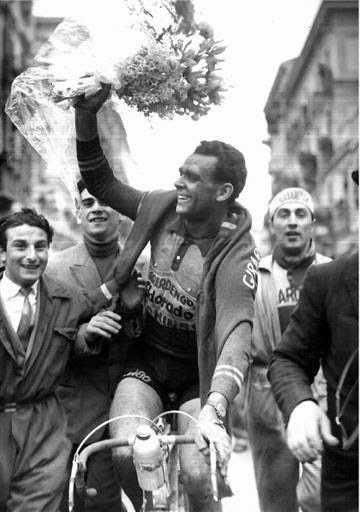 A sprinter, he was challenged by climbs but still managed a second place overall at the Giro d'Italia in 1951. 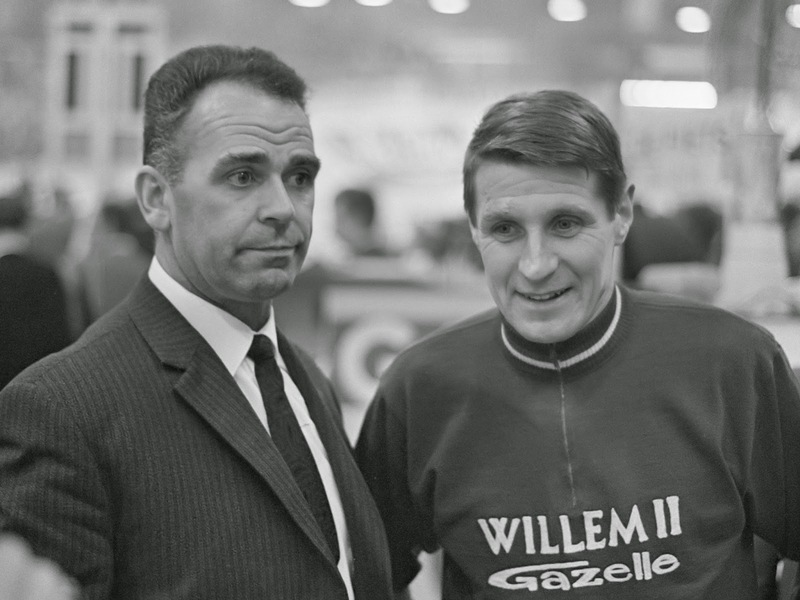 It is said that if he had concentrated on stage races rather then enter every race he could find he would have had even greater success but perhaps that ignores the economic conditions of post-war Belgium and reflects the small earnings of even the best pro cyclists. Life after racing was hard for the man they called “Rik I” and he adjusted poorly. Troubled by a gambling addiction and other vices he spent time in prison. At one point he even starred in an adult film before stabilizing his life with the help of his English wife. 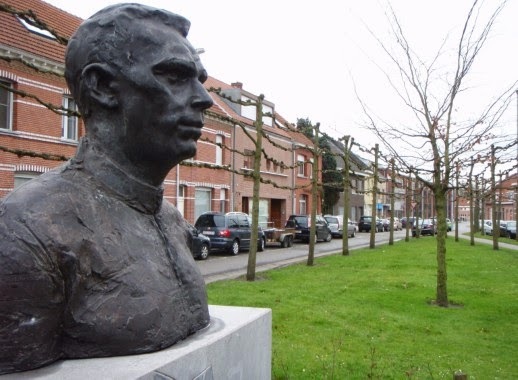 He died in Antwerp in 2003, aged 78. To honour this great cyclist, a race was established in 1991 in the area where he grew up and trained. The GP Rik van Steenbergen, later named the Memorial Rik van Steenbergen, gained in importance and became a UCI 1.1 event in 2005. Past winners have included Mario Cipollini, Tom Steels, Andrei Tchmil, Tom Steels, Tom Boonen, and Greg Van Avermaet. Theo Bos was the last victor, taking the win in 2012 for Rabobank. Since then race organizers have been unable to raise sufficient sponsorship and the Memorial Rik van Steenbergen is in danger of becoming a mere memory itself. A series of amateur cycling events are organized every year in Belgium by Proximus Cycling and in years past there was a Rik van Steenbergen Classic, giving riders the opportunity to ride the same roads that Rik I rode as well as retracing the path of those competing in the Memorial. It began in the same town as the Memorial, Aartselaar, located a short distance south of Antwerp and last year I was joined by my friend Bernd who was willing to drive on a scorching hot day (quite unlike what you will find at the Spring Classics!) to the start. Registration with Proximus is easy and inexpensive, with most events costing 8-10 Euros, and we found ourselves checking in at a big sports centre on the outskirts of town. It was no problem to find our way following the purple arrows Proximus puts up everywhere (and reuses for each event in the caldendar) and soon we were rolling through the Flemish countryside, joined from time to time by other riders but usually enjoying the trip by ourselves. I will not exaggerate the attractiveness of the landscape. Much of Flanders is board-flat but the occasional monotony of the route was broken up by long sections alongside canals and detours through interesting and ancient small towns, with narrow cobbled streets and impressive churches. Buildings were brick and solid and everything had an intimate feel: it was if you were just cycling around your neighbourhood. Although my neighbourhood does not offer gigantic greenhouses producing eggplant! The route was not terribly challenging, with only 462 m of climbing during a ride of 120 kms, but that was fitting since van Steenbergen was a sprinter, after all. The road takes one south past Rumst and over the Rupel River before heading southeast towards Mechelen along the Dilje. The road continues straight and then a turn to the east takes you up the sole hill of note at Km. 54.7. Proximus offers refreshment at each 40 kms or so of the ride and we were looking forward to the next break. Gradually the loop takes you north again and at Km 98 the next refreshment stop beckoned: the Ordal mineral water plant in Ranst! After relaxing in the cool warehouse and sampling many of the company's refreshing products we only had another 20 kms of riding ahead of us to bring us back to Aartselaar. No medals, no timekeeping, no jerseys. It was a simple enjoyable day riding in Flanders, where nobody looks at you strangely for riding a racing bicycle and wanting to pretend you are Rik I in his glory days. Proximus Cycling Challenge offers an extensive calendar of events and begins 2015 with its own version of the Omloop Het Nieuwsblad on Saturday, February 28, followed by Dwars door Vlaanderen on March 20 and its Gent-Wevelgem on March 27. Ride lengths are 30, 50, 80 or 110 kms and while the number of rides has gone up from 12 to 14 over seven months the Rik van Steenbergen Classic is not among them in 2015. But if you find yourself in Belgium with a bike and a yearning to be part of the legend just sign up! The best poster for the Spring races?